Students can purchase lawn or reserved seats at a 30% discount; children under 5 can sit on the lawn for free. The Festival does not offer senior discounts. Groups of 8 or more receive a group discount on tickets to a single concert. Call our box office at 805 646 2053 for information. Will there be late seating? Performances start at the time designated on your ticket. In deference to the comfort and listening pleasure of the audience, late-arriving patrons will not be seated while music is being performed. Late-comers are asked to wait quietly in the designated area until the first break in the program, when ushers will assist them to their seats. Most of the concerts last about two hours and have an intermission of about 20 minutes. There will be vendors for food and beverages, as well as concessions for gifts, mementos and souvenirs. You may also bring your own picnic lunch and refreshments for the lawn or our Gathering Place in Libbey Park. There is a no alcohol policy in Libbey Park and Libbey Bowl. Animals or pets of any kind, with the exception of trained service dogs, are prohibited in Libbey Bowl during concerts. Patrons with disabilities are welcome to bring trained service animals. Service animals are dogs that meet the requirements of the American Disabilities Act. Service animals must remain on a leash or in a harness at all times and rest in the seating area of the individual with a disability excluding aisles or walkways. Please note that dogs whose sole function is to provide comfort or emotional support do not qualify as service animals under the American Disabilities Act. Free parking is available on streets surrounding Libbey Bowl and Libbey Park and in various public lots within a two block radius. Allow time before concerts to find parking. Handicapped parking is available on a first-come, first-served basis for vehicles displaying a DMV handicapped parking hang tag or license plate. If you need special assistance, call our box office at 805.646.2053. We open the Bowl one hour before the start of the concert. Subscribers get in first before single ticket buyers. People often begin lining up well before then. Come early, stake out your space on the lawn, and plan to attend the pre-concert lectures given 45 minutes prior to each concert. Occasionally, rehearsals may delay the opening of the gates. For information about the Lawn Experience, CLICK HERE. For over 30 years, the Ojai Music Festival’s BRAVO Program has been bringing music to the Ojai community. Through music education to Ojai Valley Public School students, engagement at senior living centers, and free concerts throughout the year, BRAVO makes music an integral, enjoyable, and exciting part of the everyday learning process at any age. 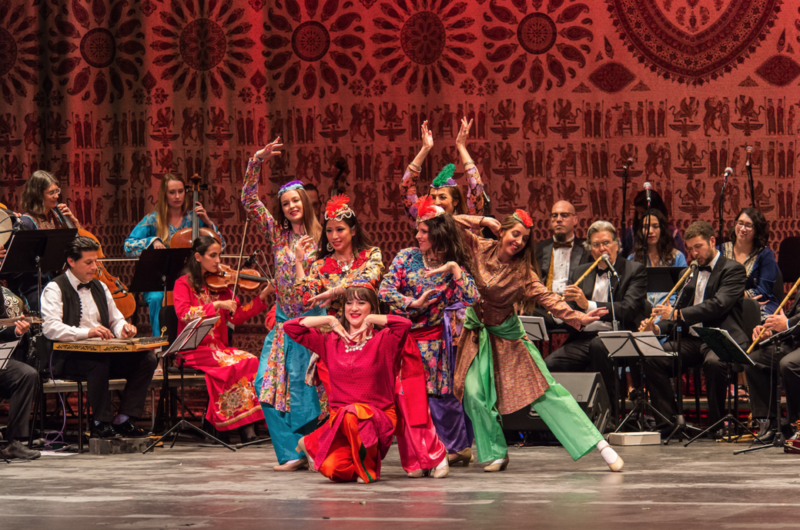 Thanks to a special grant from the Ojai Valley School-Barbara Barnard Smith Fund of the Ventura County Community Foundation, the Imagine concert will present the UC-Santa Barbara Middle East Ensemble in two school performances at the Greenberg Center on the OVS campus. Fourth, fifth and six graders will enjoy world music with a program that will emphasize Middle Eastern music and dance. All are welcome to enjoy the ensemble at a free concert from 4:00pm to 5:00pm Friday, March 1. It is completely open to the general public with no reservations required and seats will be on a first-come, first-serve basis. 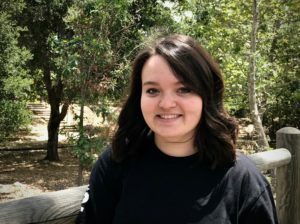 These programs provide a lasting legacy of enduring support for Ojai Valley School’s continued education in world music. Along with related arts, it is intended to engender a broad perspective and appreciation of music from all world cultures. This occurs primarily through live performances of traditional music in major non-Western cultural regions. 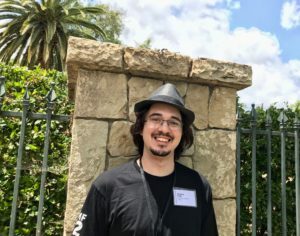 When possible and suitable, the ancestral cultural heritage of the Ojai community and its students are also focused upon. 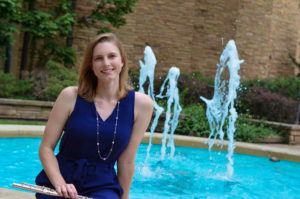 Thanks to Professor Smith, these funds annually open the doors to an engaging multicultural experience for students, teachers, parents and the community, embodying true world view of music. 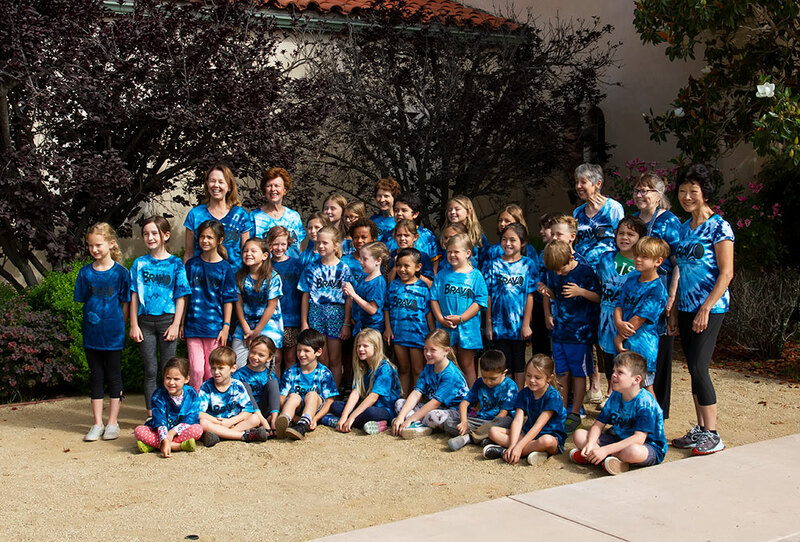 Ojai Valley School is indebted to Professor Smith for her foresight and generosity. You can’t learn to play the violin without first holding one in your hand and awkwardly finding a note. 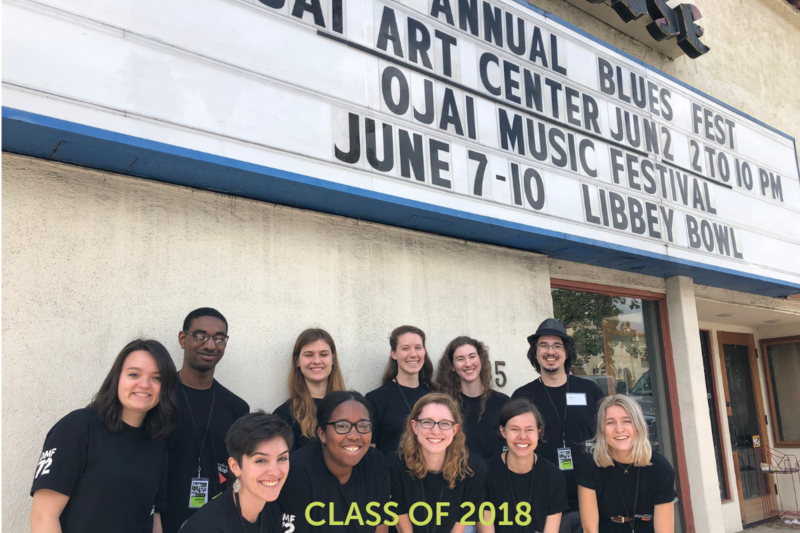 (OJAI, CA) – The Ojai Music Festival’s arts management internship program is now accepting applications for the 73rd Ojai Music Festival slated for June 6 to 9, 2019 with soprano and conductor Barbara Hannigan as music director. Entering its 12th year, the Festival’s sought-after program provides hands-on experiences to college students as they are immersed in areas of production, administration, operations, special events, merchandising, live streaming, marketing, public relations, and patron services. Students from varying fields and walks of life enjoy access to different opportunities which give them new skill sets and experiences that they take with them throughout their careers. The internship program also provides them to interact with leaders in the music industry and create lasting friendships with other students. Applicants must be 18 or over and enrolled in a two or four year accredited college. The Festival provides housing for the duration of the internship as well as a stipend. Applications are due by March 1, 2019. Download the application here. 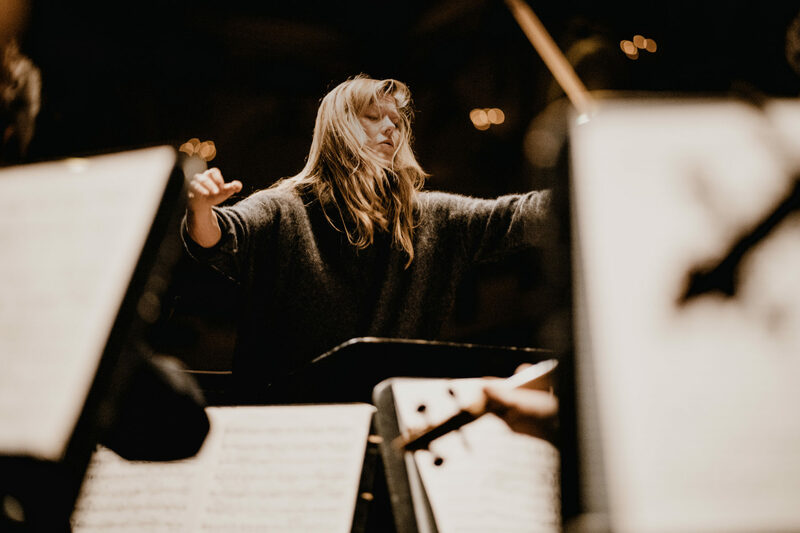 The 73rd Ojai Music Festival, June 6 to 9, 2019, will celebrate and explore the creative breadth of Music Director Barbara Hannigan, as conductor, singer, and mentor. 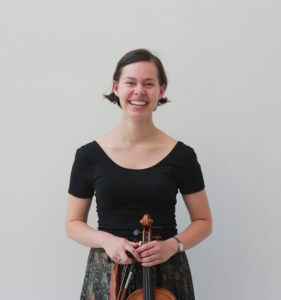 Joining Ms. Hannigan will be the US debuts of her mentoring initiative for young professional artists, Equilibrium (EQ), and the orchestral collective from Amsterdam, LUDWIG, with whom Ms. Hannigan made her Grammy Award-winning conducting debut CD “Crazy Girl Crazy” in 2017. 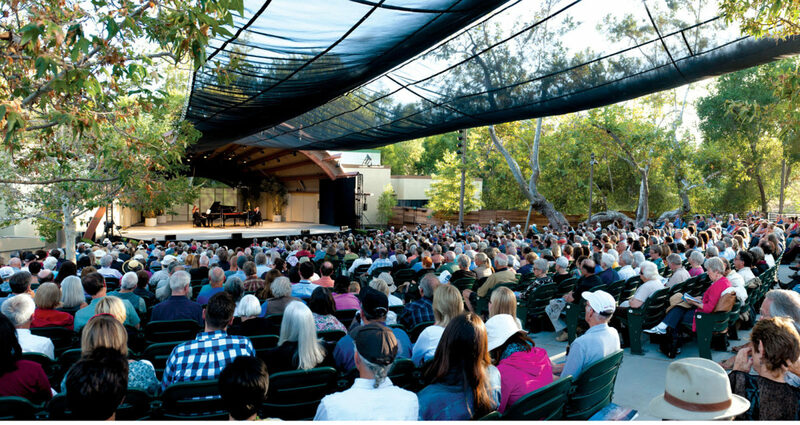 The 2019 Festival program will feature works by composers central to Ojai’s history and future, including John Luther Adams, Gerard Grisey, Oliver Knussen, Catherine Lamb, Olivier Messiaen, Terry Riley, Arnold Schoenberg, Tyshawn Sorey, Igor Stravinsky, Mark-Anthony Turnage, Claude Vivier, and John Zorn. Highlights will include the staged production of Stravinsky’s The Rake’s Progress with Ms. Hannigan conducting and members of EQ as the cast; Ms. Hannigan performing in Gérard Grisey’s Quatre chants pour franchir le seuil; the Ojai premiere of John Zorn’s Jumalattaret and Girl Crazy Suite, a special arrangement by Bill Elliott of songs from the Gershwin musical. 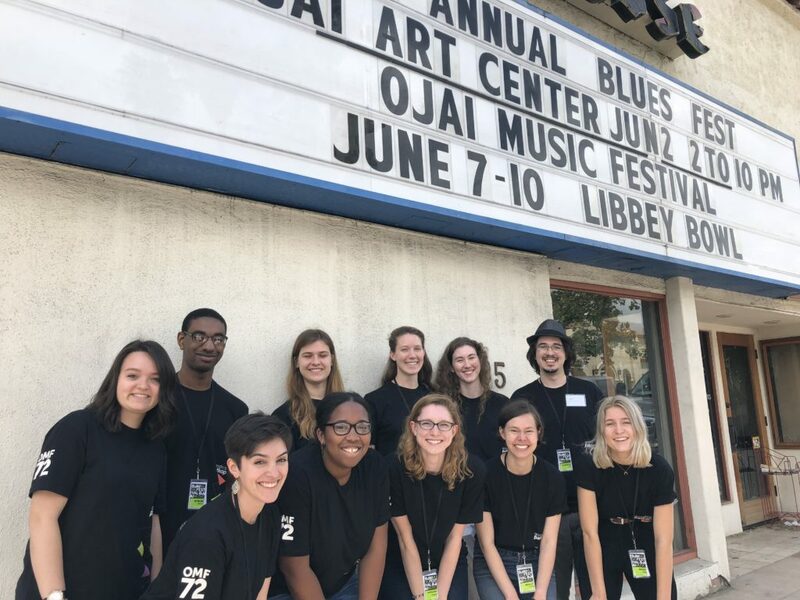 For more information regarding the internship program for the Ojai Music Festival, please call the main office at 805 646 2094 or email info@ojaifestival.org. 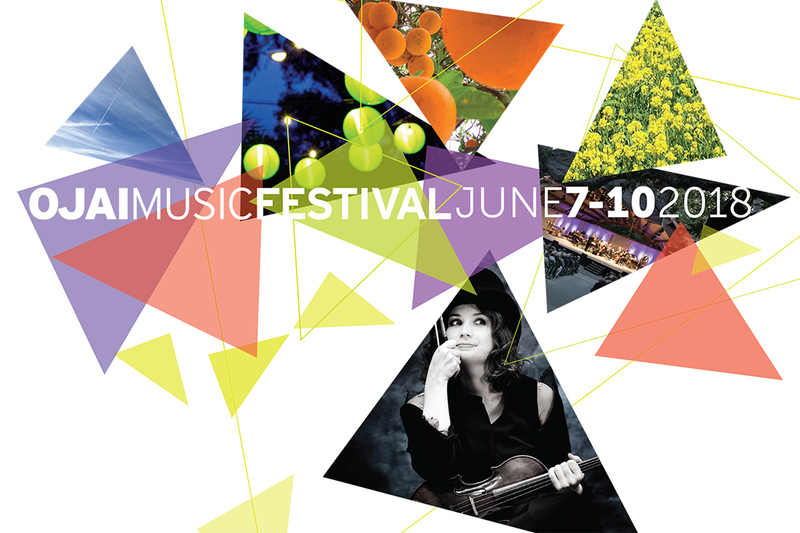 For more information on the Ojai Music Festival, visit OjaiFestival.org. I am writing this from Gothenburg, a beautiful quiet city in southern Sweden, home of the Gothenburg Symphony, the National Orchestra of Sweden. The widely recorded orchestra has a distinguished conductor heritage with Barbara Hannigan along with Christoph Eschenbach serving as Principal Guest Conductors and Gustavo Dudamel as Honorary Conductor. Former Ojai Music Director Kent Nagano served as Principal Guest Conductor for the last five years. 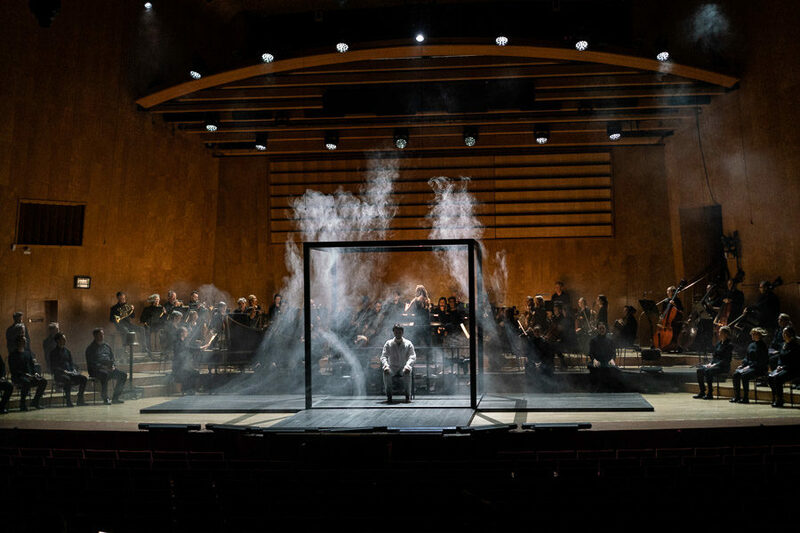 The occasion here was the world premiere of the new fully staged production of Stravinsky’s 1951 opera, The Rake’s Progress, a co-production of the Gothenburg Symphony, Brussel’s Klara Festival, the Munich Philharmonic, and the Ojai and Aldeburgh Music Festivals. This same production will open the 2019 Festival on Thursday, June 6 in Libbey Bowl. The Rakes Progress is an astonishing morality tale of good and evil, with text by W. H. Auden and Chester Kallman, and composed in Stravinsky’s most delicious neoclassic style. The 45-piece orchestra has all the rhythmic clarity found in the classic operas of Mozart, down to the ever present sparkle of a harpsichord continuo. There are arias, ensemble pieces, recitatives, and choruses, all framed in some of Stravinsky’s most bracing, stylish and rhythmically pointed music. The work is full of deep and stark drama, but also enormous humor – a perfect meld of the sublime and the ridiculous. The production is and performances were out of this world. The mastermind was Barbara Hannigan who conceived the project and conducted, in fact it was her operatic conducting debut. Two years ago, Barbara founded Equilibrium (EQ), her mentoring initiative for young professional artists in the early stage of their careers. 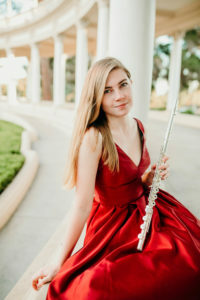 She reviewed over 300 applications for the project and personally auditioned over 100 singers and conductors a year ago. 22 were selected to participate during this first year, who come from all over the world.. Through the course of the year, Barbara conducts about three weeks of workshops outside Paris with the group, with the goal of teaching performance practices, refining interpretive issues in particular works, coping with the peculiar challenges of an artist’s life on the road, and functioning at the highest level of professionalism in the face of often challenging circumstances. Joining her in teaching are a yoga instructor from Amsterdam and the incredible Jackie Reardon, world famous tennis player and tennis coach who now spends her career as a life coach and motivational teacher, and author of several books and online teaching courses called Mindset and Friendly Eyes. The artists also work with Barbara in her own various projects, including The Rake’s Progress. EQ singers form three separate casts for Rake’s (the opera requires six singers). This rotating cast will be working with Barbara in this new production to be performed three times in Gothenburg (I heard the first two performances), two performances at Brussels Klara Festival in March, two performances with the Munich Philharmonic in early May, five concert performances in Amsterdam, Hamburg, Paris, Dortmund and Dresden in late May, and then one performance in Ojai June 6 and a final one in Aldeburgh June 20.The Brussels cast will be the same that comes to Ojai and Aldeburgh. Barbara engaged the noted young director Linus Fellbom to create, design, light, and direct the production, originally conceived as a “semi-staged” production – vastly simpler than traditional fully-staged productions and usually necessary because of the need to adapt a production to many difference places, different kinds of halls (concerts halls in Gothenburg, Munich, and Aldeburgh), a traditional opera house in Brussels), and different environments such as the unique outdoor setting of Ojai’s Libbey Bowl. 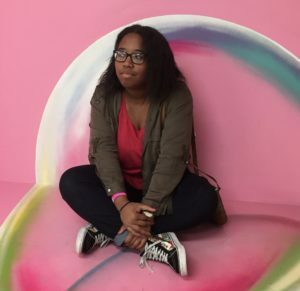 “Semi-staged” productions also have the advantage of requiring far less preparation times to set up, a significant factor with so many performances in different places, as well as usually far less in terms of budgets. What Linus has incredibly created is a “fully-staged” production under “semi-staged” limitations. It is a marvel of compactness, power and simplicity – one that will be fascinating in so many different settings. While not wanting to give away the surprises, I will say the production is based on the concept of an opera production which lands mysteriously in the various settings in gigantic wooden box, plopping itself down the center of the stage, behind which is the orchestra and on the sides of which is the chorus. As the opera unfolds, the box assumes life of its own, framing not only the singing and acting but astonishingly becoming the center of the drama itself. The work’s powerful climax contains a most stunning coups de theater that will take your breath away. I saw two performances in Gothenburg, and both were thrilling. The production was over the top in its power and meaning, and the singing and acting by the unique Gothenburg cast from EQ simply the best I have ever heard in this opera, both individually and also as an ensemble. 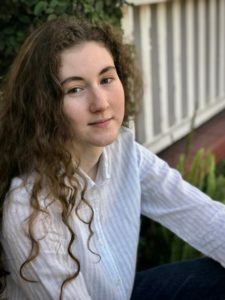 A note that singing the title role of Anne Truelove was Aphrodite Patoulidou, a young Greek soprano, who will also sing the role in Ojai: remember this name and the fact that you can say you discovered her in Ojai, much the same as discovering the young Julia Bullock in Ojai in 2011. The sheer energy, ensemble and vocal art of all of these young performers was totally captivating. The audience rose to its feet at the end in loud cheers each night. Reviews have been ecstatic. And above it all, Barbara Hannigan’s mastery of the score, her incisive conducting and her electrifying presence gave coherent shape, energy and power to the whole score. Ojai is in for a treat. The Rake’s Progress has not been widely performed in southern California, only two touring performances in the 1960s and a performance about five years ago by Opera Pacifica. (Neither the LA Opera or LA Philharmonic have performed the work.) 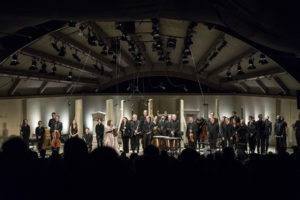 Ojai amazingly has heard performances of three excerpts from the work – the so-called Bedlam Scene in 1962 conducted by the Lukas Foss, and Anne Truelove’s famous aria scene in 1956 conducted by Robert Craft, and again in 1968, conducted by Lawrence Foster. I am so proud we can open the 2019 Festival with this fully-staged production – which not only expands our range of production capabilities but ties neatly to the fact that Stravinsky himself was Ojai Music Director in 1956, just five years after composing Rake’s. As the devilish Nick Shadow says at the end of the first scene – “the progress of a Rake begins” – indeed, a journey that will last the whole season for Barbara Hannigan, and of which we will be the beneficiary in June, an event not to be missed. 2019 Music Director Barbara Hannigan discusses her new mentoring initiative for young professional artists, Equilibrium (EQ), which focuses on young musicians who are finished with their training and in the first substantial phase of their professional career, with special attention to singers. 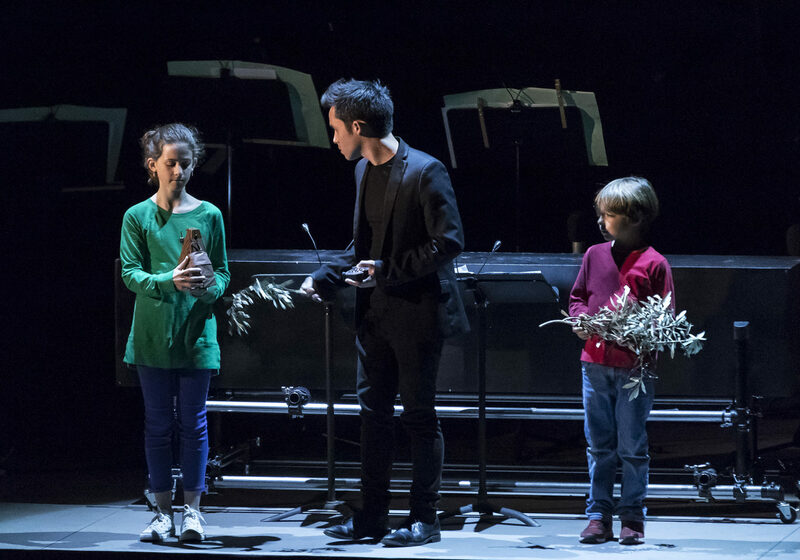 Seven of these young artists will form the 2019 Festival cast of The Rake’s Progress, as well as perform additional music by Igor Stravinsky, Claude Vivier, Mark-Anthony Turnage throughout the Festival. In January 2017, Hannigan launched the Equilibrium (EQ) initiative to mentor 21 young professional musicians. 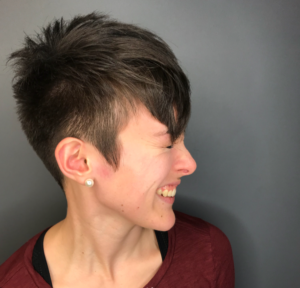 EQ includes intensive workshop retreats, which focus on developing and strengthening the skills needed for sustaining a fulfilling career, as well as offering performance opportunities with Hannigan and others. EQ artists are selected from an international field of applicants for their talent, musicianship, passion, drive, curiosity, discipline, versatility, and creativity. “What I can do, is bring young artists into my performance realm, to invite them to share the stage with me, and to learn alongside me. 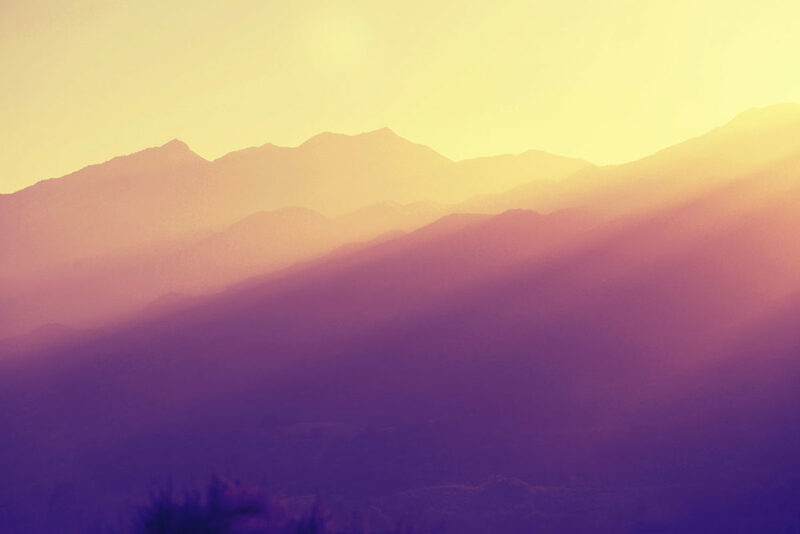 (OJAI CA – November 13, 2018) – The 73rd Ojai Music Festival, June 6-9, 2019, celebrates and explores the creative breadth of Music Director Barbara Hannigan, as conductor, singer, and mentor. 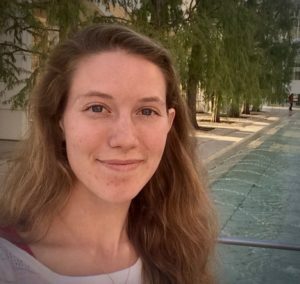 Joining Ms. Hannigan will be the US debut of her mentoring initiative for young professional artists, Equilibrium (EQ), as well as the US debut of the orchestral collective from Amsterdam, LUDWIG, with whom Ms. Hannigan made her Grammy Award-winning conducting debut CD “Crazy Girl Crazy” in 2017. Further details for Ms. Hannigan’s 2019 Festival will be announced in the spring. 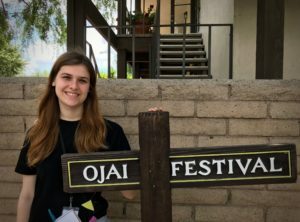 For up-to-date Festival information, artist biographies, and photos, visit the Ojai Music Festival website at OjaiFestival.org. 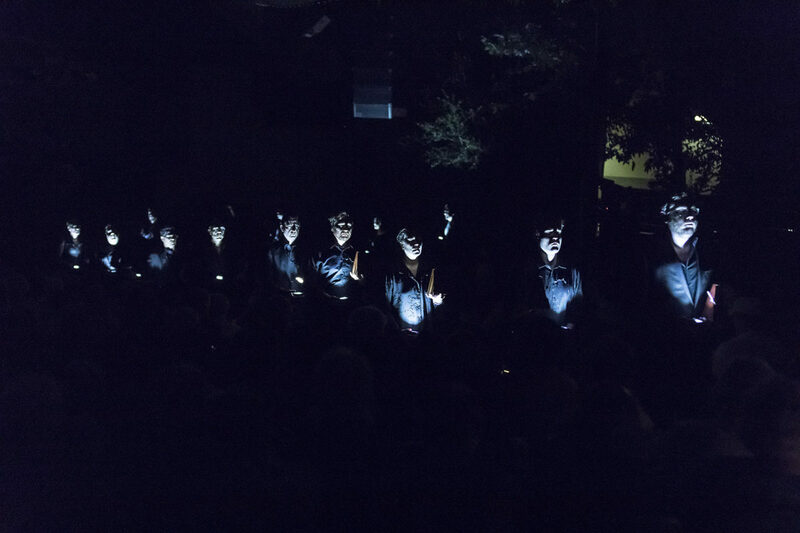 Ojai at Berkeley, the robust eight-year partnership between the Ojai Music Festival and Cal Performances, began in 2011 and allowed such collaborations as The Classical Style by Steven Stucky and Jeremy Denk, Josephine Baker Portrait by Tyshawn Sorey and Julia Bullock, and George Lewis’ Afterword the Opera to be performed. With the leadership transitions at both institutions, it has been decided to conclude the venture. 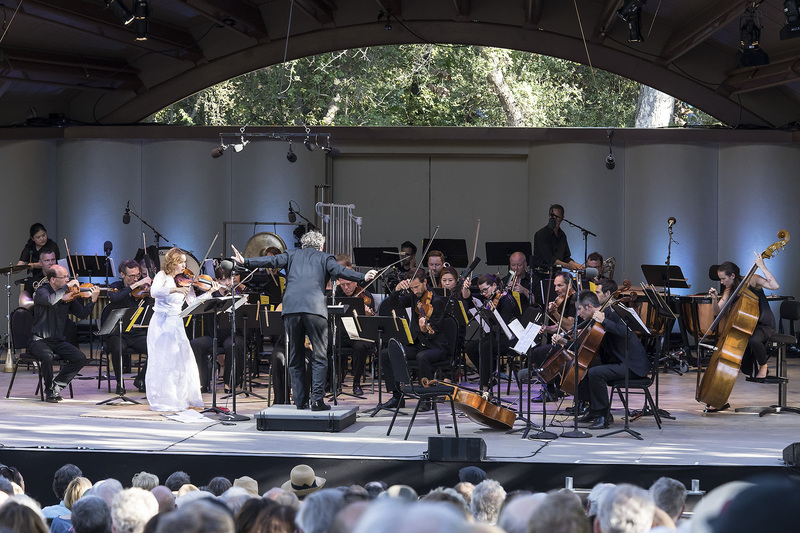 The final installation of Ojai at Berkeley took place in June 2018 following the Ojai Music Festival with Music Director Patricia Kopatchinskaja. Unforgettable operatic appearances include the title role in Lulu in Krszysztof Warlikowski’s staging at Brussels’ La Monnaie, and more recently at Hamburg Staatsoper conducted by Kent Nagano and directed by Christoph Marthaler; the title role of Pelléas et Mélisandein Katie Mitchell’s staging at the 2016 Festival d’Aix-en-Province conducted by Esa-Pekka Salonen and in Krszysztof Warlikowski’s more recent production at the Ruhrtriennale in Germany; and Marie in Zimmermann’s Die Soldaten at the Bayerische Staatsoper—a hugely acclaimed presentation directed by Andreas Kriegenberg and conducted by Kirill Petrenko, for which she won the Faust Award in Germany. She made her Opéra National de Paris debut in 2015 with La voix humaine again in a Warlikowski production and returned in April 2018 to reprise the role. She created the role of Ophelia in Brett Dean’s Hamletat the Glyndebourne Festival in summer 2017 and created the lead soprano roles in both of George Benjamin’s full scale operas: Written on Skin, and Lessons in Love and Violence. 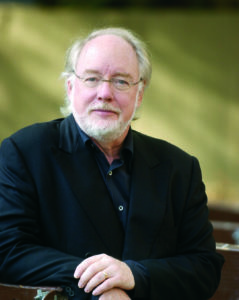 Thomas W. Morris was appointed Artistic Director of the Ojai Music Festival starting with the 2004 Festival. As Artistic Director, he is responsible for artistic planning and each year appoints a music director with whom he shapes the Festival’s programming. 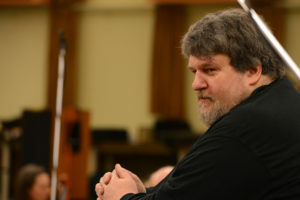 During Mr. Morris’ tenure, the scope and density of the Festival has expanded, the collaborative partnership Ojai at Berkeley with Cal Performances at UC Berkeley launched, a partnership with England’s Aldeburgh Festival was initiated in 2018, and a comprehensive program of video streaming of all concerts was instituted. Mr. Morris is recognized as one of the most innovative leaders in the orchestra industry and served as the longtime chief executive of both The Cleveland Orchestra and the Boston Symphony Orchestra. He is currently active nationally and internationally as a consultant, lecturer, teacher, and writer. Mr. Morris was a founding director of Spring for Music in NYC and served as the project’s artistic director. 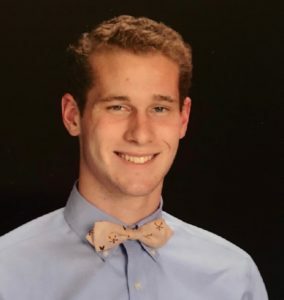 He served ten years on the board of trustees of Interlochen Center for the Arts, most recently as Vice Chair, and he is also an accomplished percussionist. 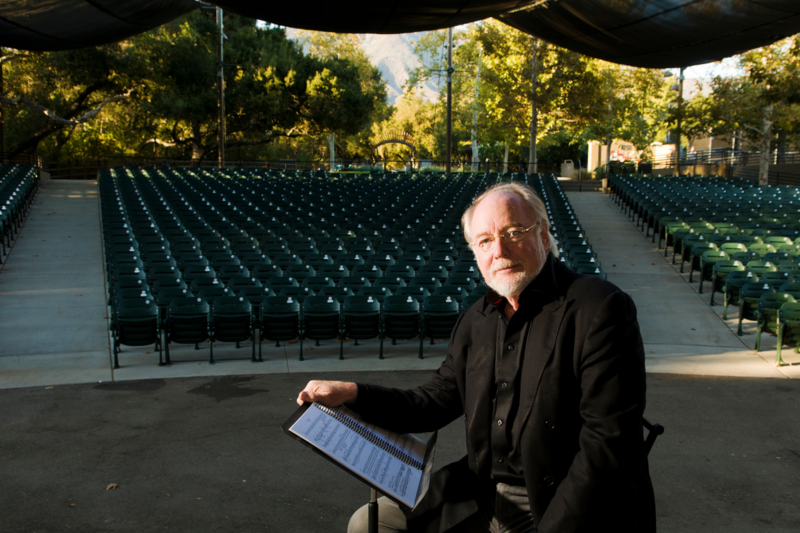 In November 2018, Mr. Morris announced his decision to retire as the Festival’s Artistic Director following the 2019 Festival with Music Director Barbara Hannigan, after shaping Ojai’s artistic direction for sixteen years. 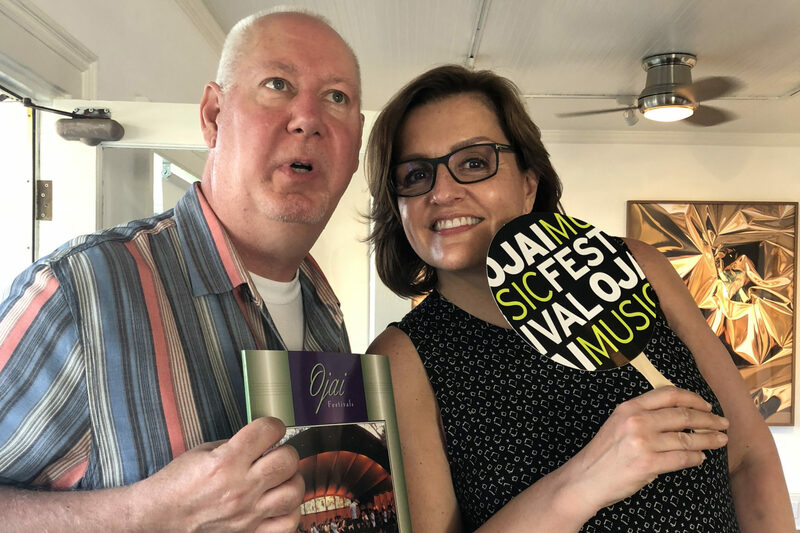 As the Ojai Music Festival approaches its 75th anniversary and looks toward the future, Thomas W. Morris concludes his remarkable 16-year tenure as Artistic Director following the 73rd Festival in 2019. With the appointment of Chad Smith as the next Artistic Director, Ojai’s artistic momentum is clearly poised to continue. 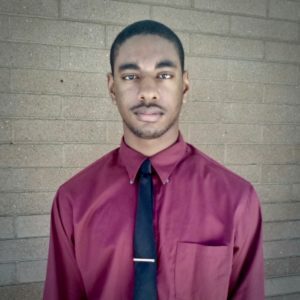 Mr. Smith will succeed Mr. Morris as Artistic Director with the 2020 Festival (June 11-14). 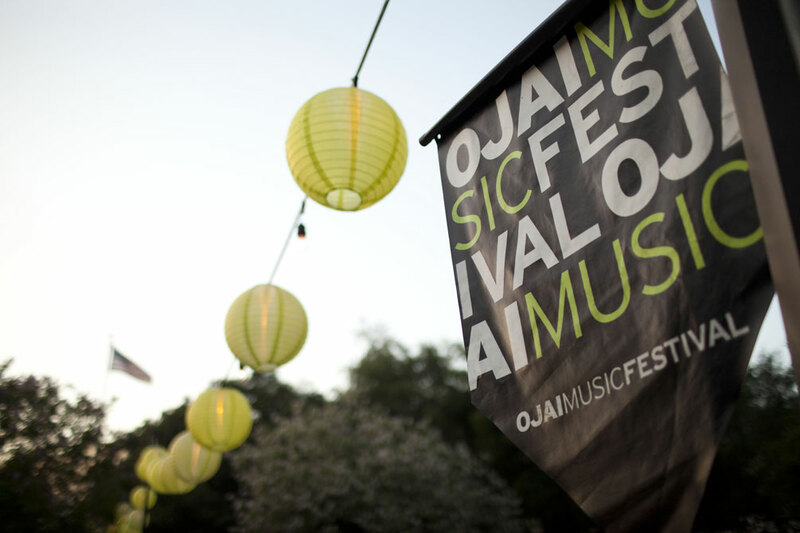 2019 Festival series passes are available and may be purchased online at OjaiFestival.org or by calling (805) 646-2053. Ojai Music Festival series passes range from $165 to $925 for reserved seating and lawn series passes start at $75. Single concert tickets will be available in spring 2019. 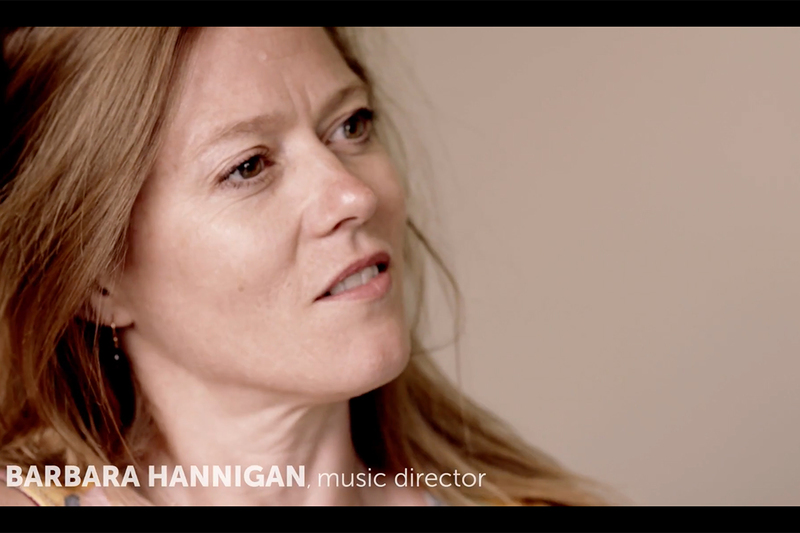 2019 Music Director Barbara Hannigan – conductor, singer, and mentor – discusses her artistic values and describes herself as a creative person intensely interested in the collaborative process. The Ojai Holiday Home Tour & Marketplace kicks off the holiday season on Saturday, November 10 and Sunday, November 11, 10am to 4pm. Presented by the Ojai Festival Women’s Committee, this treasured tradition highlights the diverse and beautiful neighborhoods of the Ojai Valley by featuring four distinctive Ojai homes adorned with floral inspirations by inspiring designers. This year’s properties will include the stunning Patina Farm built and owned by designer/architect couple Brooke and Steve Giannetti. 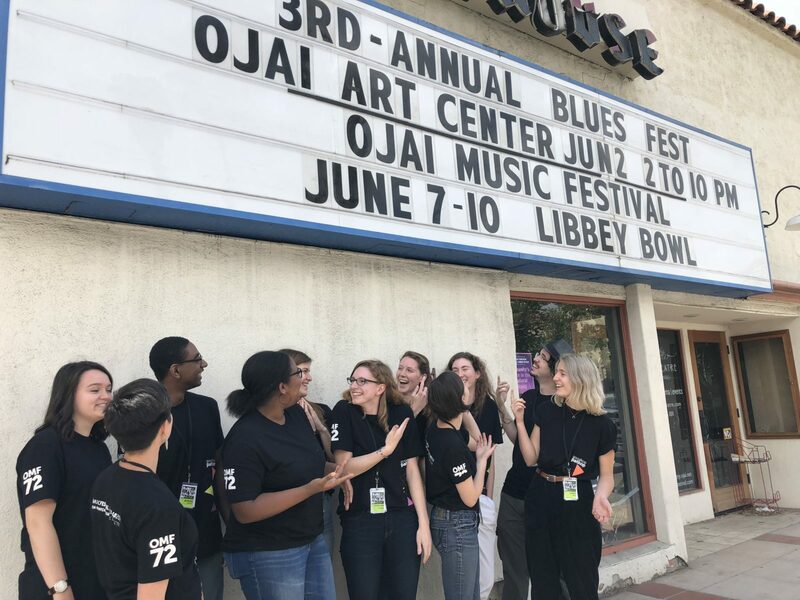 Entering its 22nd year, the tour benefits the Ojai Music Festival and its BRAVO education and community program, which offers free music workshops to the Ojai Valley public schools and the community. Also taking place the same weekend is the Holiday Marketplace held at Thomas Aquinas Church Hall (185 St. Thomas Drive). This companion event will feature a collection of curated lifestyle and fashion items from more than 40 vendors as well as a variety of food trucks. Admission to the Marketplace is free and open to the public. The Marketplace hours are 10am to 5:30pm on Saturday and 10am to 4:30pm on Sunday. Five acres of natural beauty, enhanced by masterful design, create a Persimmon Hill paradise that welcomes family and friends at home. Indoor rooms flow seamlessly to the lush outside to provide a luxuriously spacious and relaxed ambiance in this gorgeous hideaway. No detail was left to chance in the owner-designed and meticulously crafted architecture, furnishings, and landscape. A neutral color palette highlighted by peaceful pastels extends throughout the house and lovely gardens. Thoughtfully chosen antiques complement the natural textures of the structure, reflecting family history as well as travels. The artful blending of classical and modern influences exudes a feeling of simple elegance – even the donkeys and goats have luxurious quarters that complement the cozy charm of the home. Located conveniently close to town, but feeling like it’s tucked far away, lies a very personal gem of a home, offering a comfortable private oasis for this civic-minded couple. 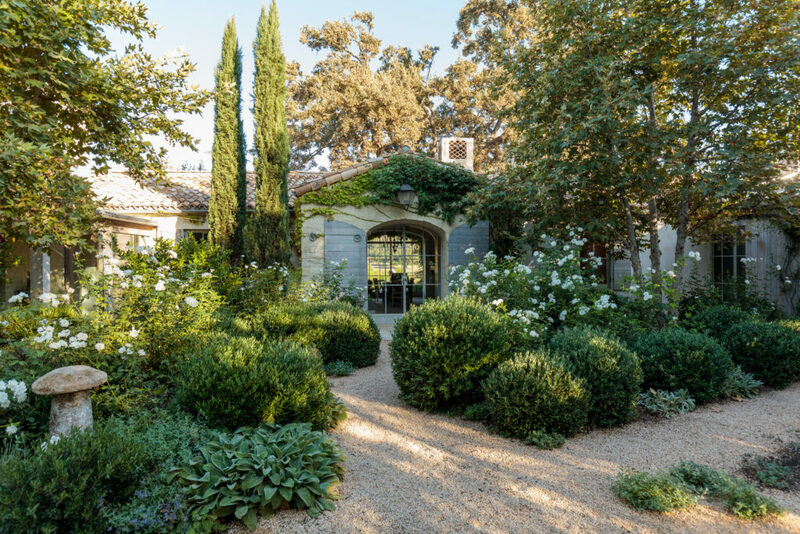 Nestled amid lush native gardens, which you might recognize from the 2017 Ojai garden tour, the home features dream chef’s kitchens inside and out, welcoming family and friends to share warm hospitality. The hostess has authored two cookbooks. A homey atmosphere is created by works of many local artists, Edward Curtis photos, as well as Native American baskets and art collected during the owners’ extensive travels. A plunge pool and bocce ball court, as well as several relaxing garden niches, complete the ambiance of this lovely abode. You’ll want to stay and bide a while. It is the beautiful majestic oaks surrounding this Spanish-style home that welcomes you to this secret sanctuary that features an appreciation for all genres of music and a passion for exceptional art. Be sure to allow plenty of time to experience this amazing private “gallery” — Calder, Picasso, Zuniga — and a host of other exquisite pieces adorn the walls and sculptures beautify other areas within the home. Gorgeous hand-crafted mosaic tile tables were custom designed to brighten and compliment indoor themes and outdoor settings. Imported rugs add warmth to the terra cotta and wooden floors. Then there’s the incredible personal library for fireside reading, a spacious central courtyard surrounded by giant agave plants, a Zen patio with a custom fountain created by Ojai artist Martha Moran, and the strobe-lighted mirrored disco ball ready for the upcoming holiday parties! Stepping into the lofty foyer of this Rancho Matilija home transports you from a delightful neighborhood in front to a haven of nature in back. Lush trees and majestic mountain views beckon away to another world. Hollywood memorabilia that includes a real Oscar and the Stratocaster from Wayne’s World! 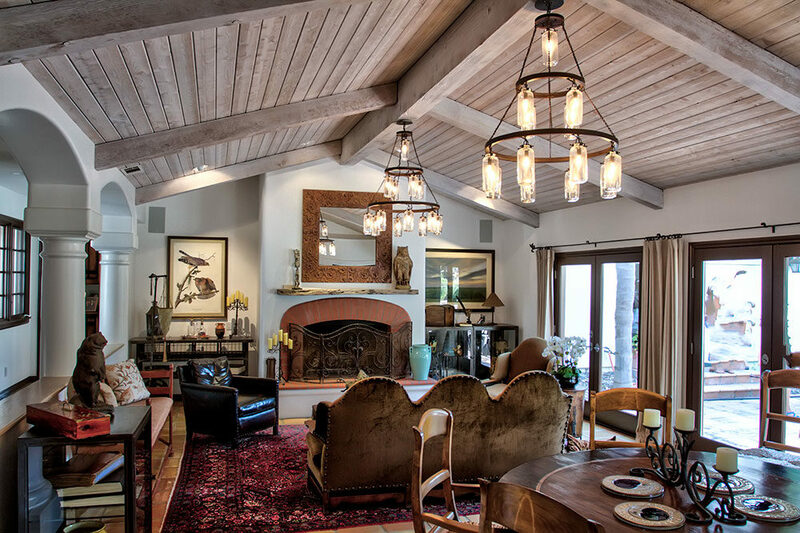 mingle with rustic Early California design to create a comfortable retreat that reflects the vibrant personalities of this talented and generous couple. The home truly feels like a warm and inviting nest to enjoy. Last Sunday, July 8, composer/conductor Oliver Knussen died at the tragically early age of 66. Olly, as he was known to everyone, was a giant musician – figuratively and literally. He was a bear of a man with the gentlest and kindest disposition of anyone I have ever known. I met Olly in 1972 at Tanglewood where he was studying composition with Gunther Schuller. I well remember having dinner at a tacky Polynesian restaurant and discovering our mutual fascination for the ridiculous in classical music. We both identified the same piece we thought represented the height of awfulness – Aram Khatchaturian’s Symphony No. 3, improbably scored for huge orchestra plus fifteen antiphonal trumpets and pipe organ! Olly gleefully called me years later to say that he had found a complete score of this astonishing work. He never conducted it! This mutual discovery with Olly led to our life-long commitment to compile a list of the “100 Best Worst Pieces” of orchestral music. We also collected perfectly dreadful programs from orchestras around the world – programs that were simply breathtaking in their inanity. The list engulfed multiple pages – all real programs except for several at the end that Olly and I concocted as potential beacons of silliness. The prize went to a mythical one Olly devised of Elliot Carter’s chamber opera What’s Next followed by Hershey Kay’s ballet based on George Gershwin Who Cares! We returned to these ever-evolving projects often, and most recently, two weeks ago when I was in Aldeburgh were he lived. Olly knew more music than anyone I have ever met. While he had opinions about all of it, I was always amazed about the breadth of his openness and curiosity for music as divergent as that of Elliott Carter or Igor Stravinsky, to music by young composers who he championed, to the music of Percy Grainger, to the orchestral transcriptions by Leopold Stokowski, to such individual gems as Morton Gould’s Tap Dance Concerto. Olly composed pieces that were meticulously crafted, finely etched, and deeply inspired – quite unexpected from such a giant surrounded at home by literally piles of CDs, records, scores, books, papers, and a vast collection of videos. He was a master conductor, who always forged close relationships with players he conducted. He was well known for uncompromising and usual programs. How well I recall his devising the second half of a Cleveland Orchestra concert in the mid-1990’s of Edward Elgar’s symphonic poem Falstaff followed by Elgar’s uproarious arrangement of Bach’s Fantasia and Fugue in C minor. During my Cleveland Orchestra days, we collaborated in countless concerts, commissions, and recordings. It was a great honor to appoint him as my first Ojai Music Director in 2005. His health, which was becoming an increasing challenge, finally caused him to cancel a month prior to the Festival, although we were still able to produce the Festival as curated by Olly but with other conductors. We spent much time together, and spoke often. For some reason, he always called me “Your Tom-ness,” and I called him “Your Olly-ness.” I was fortunate to have spent two long afternoons and evenings with him two weeks ago in Aldeburgh, where I found him in fine form (if more gigantic and slower than ever.) I was worried. And then Monday morning, the call I had been dreading came. Thinking of an Olly-less future is devastating, but I rejoice in the collaborations, the fun, and the enduring friendship that we enjoyed over these many long years. Are you still there? In what corner are you? Open for everything, like a day, which dawns. I am writing this to you from the miraculous concert Hall at the Maltings Snape, home of the Aldeburgh Festival. The artists all arrived from San Francisco on Monday and enjoyed a well-deserved day of rest on Tuesday in this incredible seaside fishing town on the Suffolk coast, northeast of London. The first rehearsal and concert was yesterday (THU) and featured the Bartok/Stravinsky/Machaut/Ligeti program that closed the Ojai Music Festival June 10. The concert was a dramatically energetic success, with extended curtain calls and applause from the sold out hall. I was proud to showcase our distinctive Ojai programming to this discerning audience. 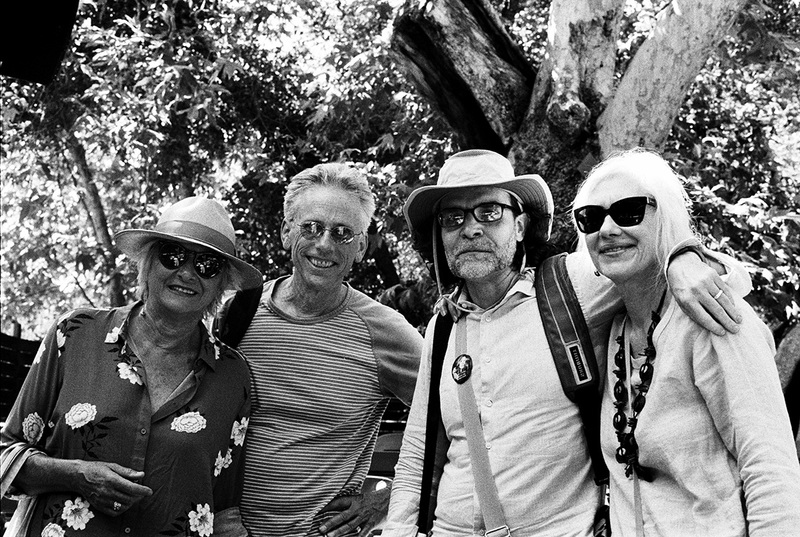 The artists are still absolutely glowing about their experience in Ojai – they all continued to express wonder at the intensity of the musical experience, the stunning beauty of the place, and the totally unique energy of our audiences. 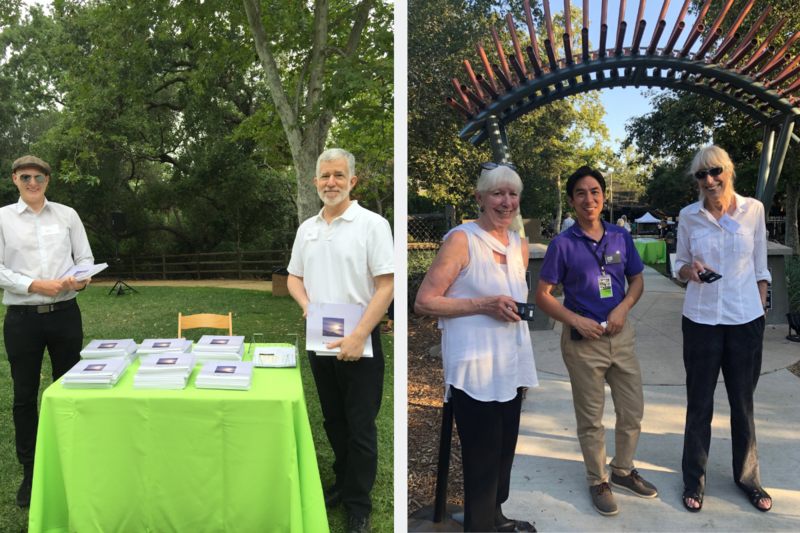 On June 12, we all traveled to Berkeley for the eighth Ojai at Berkeley, in which four concerts were performed with our partners Cal Performances in Zellerbach Hall. 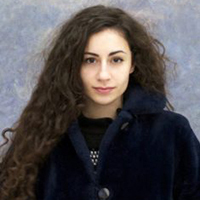 Featured were Bye Bye Beethoven, the Michael Hersch commission, Bartok/Stravinsky/Machaut/Ligeti closing concert as well as the concert of Moldovan folk music with Patricia and her parents. These same programs have been brought to Aldeburgh. As part of the ongoing creative process for a new piece, Michael made some significant changes to his piece for Berkeley that really heightened its emotional impact. Berkeley audiences were thrilled with all the concerts. The visit did have a bittersweet element for me as it represented the concluding concerts in Cal Performance’s Director Matias Tarnopolsky’s remarkable nine-year tenure in Berkeley. Matias departs shortly for his new position as President & CEO of the Philadelphia Orchestra. I thank Matias for his friendship and strong advocacy of our partnership, which not only extends the Ojai brand but makes our programming available to even wider audiences. Last night I saw the first Ojai performance at the three-week Aldeburgh Festival. 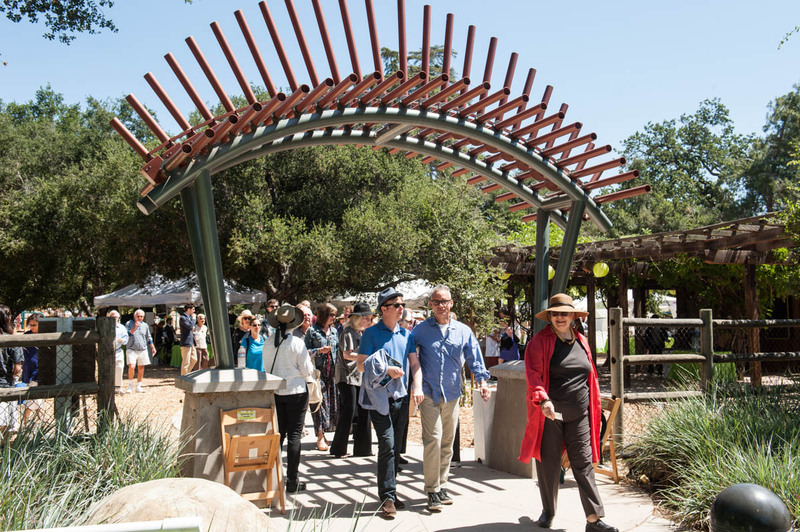 This remarkable festival was founded 71 years ago – very similar to Ojai’s 72-year heritage. The founder and guiding spirit of the Festival was composer Benjamin Britten who lived in Aldeburgh. Home for the Festival since 1967 has been the Maltings in Snape, a small inland town five miles from Aldeburgh. Prior to 1967 concerts were held in various small town venues and churches. The Maltings is an enormous collection of buildings that once housed a brewery. The 850-seat concert hall, the first Maltings building acquired and renovated, is home to the most remarkable acoustics of almost any concert hall in the world, and is the favored performance and recording venue for many of the world’s greatest artists and ensembles. The Festival gradually acquired the rest of the Maltings site over the years, building several additional performance and studio spaces, as well as hotel, condominium and retail facilities. Activities at the Maltings have been expanded year round through performances and a massive educational program. The whole site has indeed become a self-contained artistic village and is a destination each year to almost 500,000 people. Snape and Aldeburgh have the same magical atmosphere as Ojai, as well as the same programming profile and a devoted, engaged audience. Listening last night clearly demonstrated the acoustic of this magical room are indeed overwhelming. 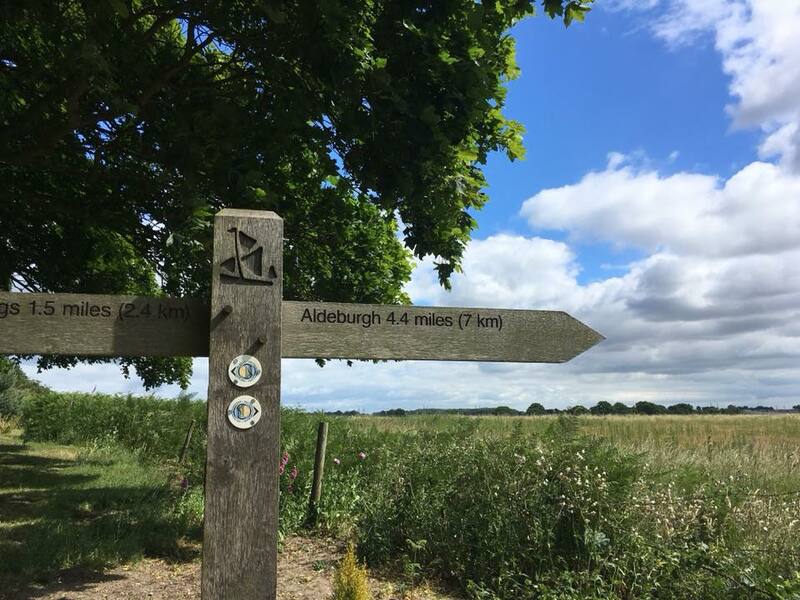 Aldeburgh is perfect new partner for Ojai. It was great to see our artists – Patricia, the Mahler Chamber Orchestra, Ah Young Hong and Kiera Duffy – actively and enthusiastically touting their Ojai experiences to others. The bond we form with artists is indeed unique, palpable, and real. Get yourself ready! 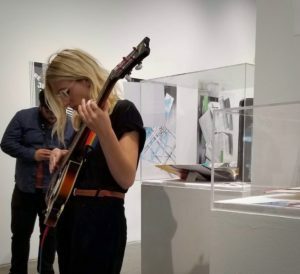 Read our 2018 program notes by resident musicologist and program book annotator Christopher Hailey. You can also join Chris and featured guest artists before concerts on the Libbey Park tennis courts for “Concert Insights.” View the schedule for details.